Have you wanted to try a ballet class? Would you like to take class in the convenience of your own home? Do you want to understand how to turn, jump, leap and more? 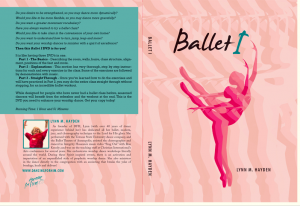 Then this Ballet I DVD is for you! It is like having three DVDs in one. Part 2 – Explanations – This section has very thorough, step by step instructions for each and every exercise in the class. Some of the exercises are followed by demonstration with music. Part 3 – Straight Through – Once you’ve learned how to do the exercises and will have practiced in Part 2, you may do the entire class straight through without stopping, for an incredible ballet workout. While designed for people who have never had a ballet class before, seasoned dancers will benefit from the refresher and the workout at the end. 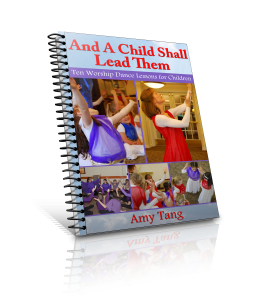 This is the DVD you need to enhance your worship dance. Get your copy today!